In Greek mythology, the hero Odysseus was sailing home from the Trojan War through the Strait of Messina (which separates Italy from Sicily) when he was beset by two monsters - Scylla and Charybdis - one on either side. Odysseus had to figure out which was the lesser of the two evils as he passed through the strait to reach home. The old trope came up again when Nordic countries recently met in Helsinki for their annual session. Odysseus' story can be used to describe how smaller countries are preparing to navigate between Germany and France in future, when Britain is no longer a member of the EU, one MP noted. 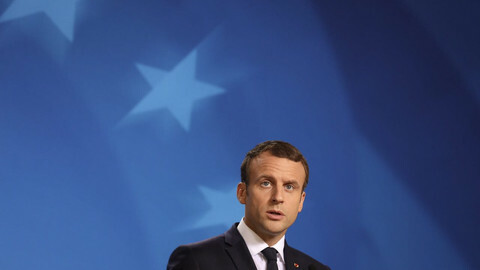 French president Emmanuel Macron laid out his vision for an overhaul of the EU in September. His EU would include a more integrated eurozone with its own budget managed by a finance minister who would be held responsible by a eurozone parliament. The European Commission would be reduced to 15 members and half the members of the European Parliament would be elected through trans-national lists already in 2019. Macron kindly waited for the Germans to hold their national elections before presenting his big plan and he is still waiting for Berlin's answer, because Germany is locked in ongoing coalition talks. "There is a wide agreement between France and Germany when it comes to the proposals, although we must work on the details," was the only comment from chancellor Angela Merkel so far. 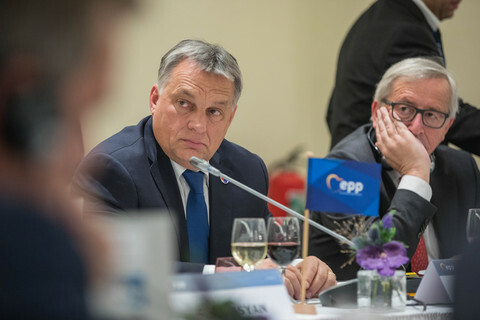 Meanwhile, other EU countries are considering what the new European set-up might look like and how they fit in, when the UK leaves the bloc at 23:00 GMT on Friday 29 March 2019. "I think we are going to see even more and closer UK-Nordic co-operation as a result of Brexit and I think that is also what the UK understands because we are very like each other. I mean, sharing lots of common values," Swedish conservative MP and Nordic Council presidium member, Hans Wallmark told EUobserver in Helsinki. "What we are probably going to see also is this new power between Merkel and Macron and we need to sail in between those Scylla and Charybdis," he said. "The UK has been a very close ally to all our countries, especially Finland, Sweden, and Denmark. It has been a natural partner. We have balanced the UK against Germany and we have been in the middle. With the UK out of the EU, we suddenly risk looking like the 'extremists' on issues like being pro-market economy, pro-free trade - the kind of things that the UK has promoted", he added. "We need to build new alliances and for us it would be natural to do that between Finland, Sweden, and Denmark, but also the Netherlands and hopefully Germany," Wallmark said. 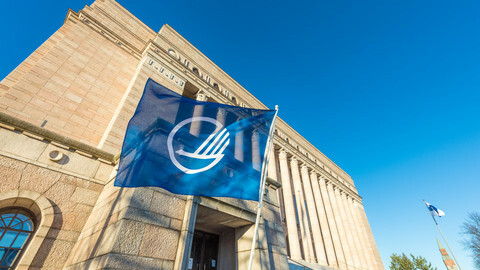 The Nordic council has existed since 1952. Its assembly of 87 national parliamentarians meets annually. This year it met in the Finnish parliament. Bertel Haarder, a Danish MP and Nordic council member, told this website that Europe needed leadership and that Merkel and Macron could not do it by themselves. "I think they would both love it if Nordic countries and Benelux countries took a leading role," he said. "Brexit has left us in a Union with 27 countries where the Nordics as well as the Benelux countries may feel a bit more alone," he said. "We have a very good friend in Germany and may also get a very good friend in Emanuel Macron's France, but you never know," he added. "Southern European countries of course have their own agenda and the Central and Eastern European countries have rising nationalism and more of those countries are not so easy to co-operate with anymore. So it is time for the Nordics hopefully together with the Baltics and the Benelux to take a leading role", the MP said. The three Baltic prime ministers, by tradition, already meet Nordic leaders for a summit during the Nordic council session. 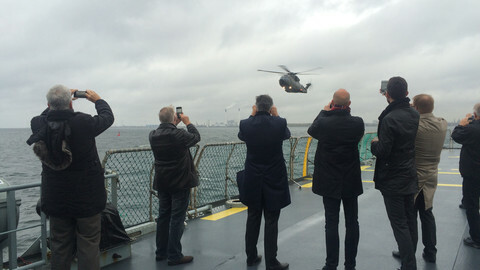 A representative of the Benelux parliament was also present at the event. The Benelux Parliament was established in 1955 and is composed of MPs from Belgium, the Netherlands, and Luxembourg. Its seat rotates among the cities of Brussels, The Hague, and Luxembourg for two consecutive years at a time. 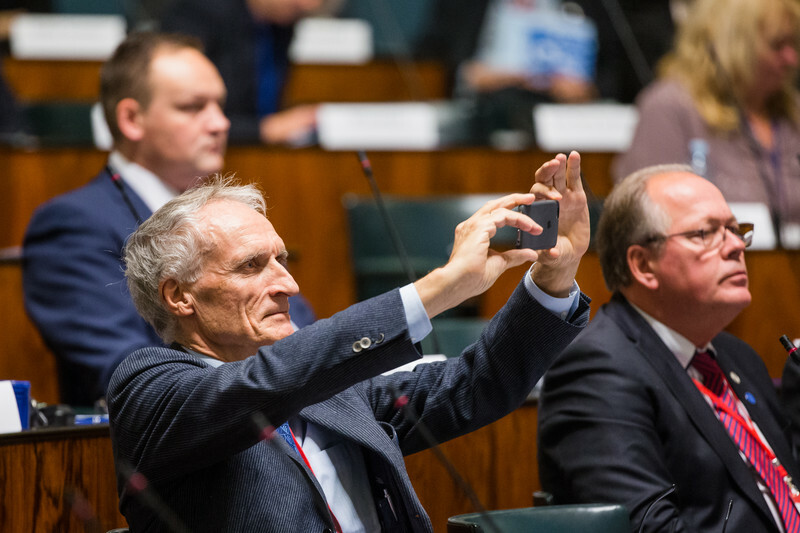 "We come together three times a year and more often in committee sessions to discuss our Benelux agenda," said Andre Postema, a deputy who represents Labour in the Dutch senate and who is currently president of the Benelux parliament. "There was always a balance of power between France and Germany, and Great Britain, which had a more transatlantic view. Now, that they are leaving, we will be missing a partner in that because that's also the case for the Netherlands and for many Nordic countries - of course we are Europe-oriented, but we are also Atlantic oriented," he said. 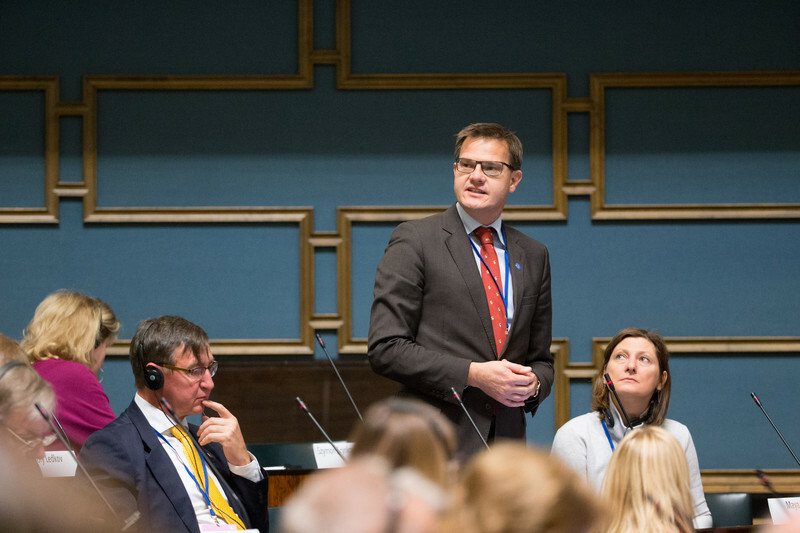 "With Brexit we lose a powerful partner … that's a reason to join hands between the countries of the Nordic, the Baltic, and the Benelux," he told the EUobserver in Helsinki. "The German-French axis is quite determined now, quite powerful and it is not that their ideas are necessarily bad, but it is always good to have our voice also heard," he said. Postema gave the future development of the European Monetary Union as an example. "Macron has very big proposals. They're too important not to have a counter-balancing view. I am sure that the Nordic countries are quite critical of these proposals," he said. He said non-euro countries were following developments closely because France's could have important implications for them. "When there is a core Europe around the euro – that might harm the European Union," the Dutch senator noted. In another sign that smaller EU countries are coming together, earlier this week finance ministers from the Baltic states, Nordic countries, and Ireland had dinner in the Belgian capital, with the Dutch and German ministers passing by. "On the menu were sensitive subjects such as euro-area reform, upcoming vacancies for senior EU economic policy making roles, and the next multi-annual EU budget," the Financial Times reported. It is the second time a version of the small-Northern country club has met in the past few weeks. Ireland's prime minister met his Nordic and Baltic counterparts in the margins of the EU summit in Brussels in October. The Nordic countries form together the world's 11th largest economy and share many of the same values. "The Nordic region is part of Europe. 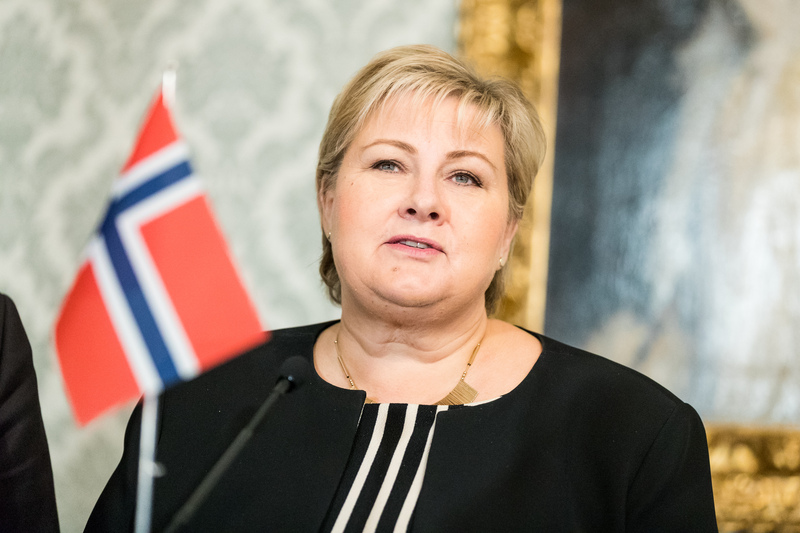 Nordic co-operation is also taking place in a European framework," Norway's conservative prime minister, Erna Solberg, said in a speech Helsinki. "when Europe stands in a demanding recovery period, it is important to voice clear Nordic support for European cohesion and cooperation. We are seeing more and more people looking to the Nordic countries, as Britain withdraws from the EU," she said. "This provides opportunities. 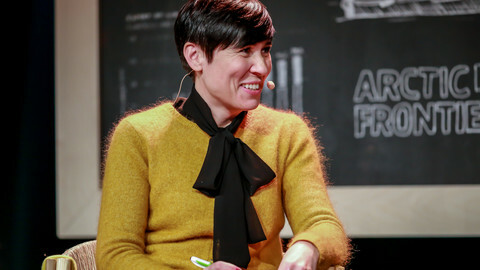 In climate and environment, we see that Nordic solutions become European solutions," she added. "We have something to give, when Europe is being tested," she said. While large numbers of citizens in Europe remain sceptical of the European Union, Nordic soft-power co-operation is hugely popular. Over 90 percent believe that Nordic cooperation is important, while 60 percent of them believe that it is very important, according to a recent Nordic council survey. Only one percent of people in the Nordic countries think that Nordic cooperation is not at all important. But not everybody is buying into the idea of more co-operation between smaller state to follow Brexit. "The EU deals with so many different subjects that there is no permanent bloc of member states within it," Estonia's deputy minister for EU Affairs, Matti Maasikas, told Baltic News Service, (BNS) in a recent interview. "But it's clear that Brexit has given rise to certain new dynamics in the European Union," he said. 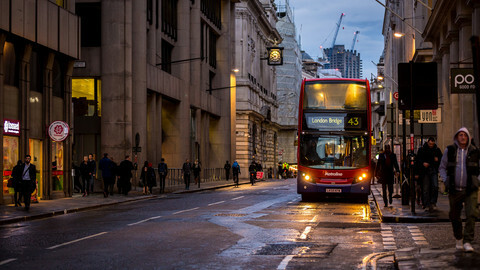 Following Brexit, the eurozone will account for 80-85 percent of the EU's GDP. "Here we will definitely have a shift in dynamics," Maasikas said. "The UK has been standing up very firmly for strengthening free trade and the internal market," he said. "Estonia and the Nordic countries have been and remain very strong proponents of free trade and there has been coordination among the like-minded group", he added. 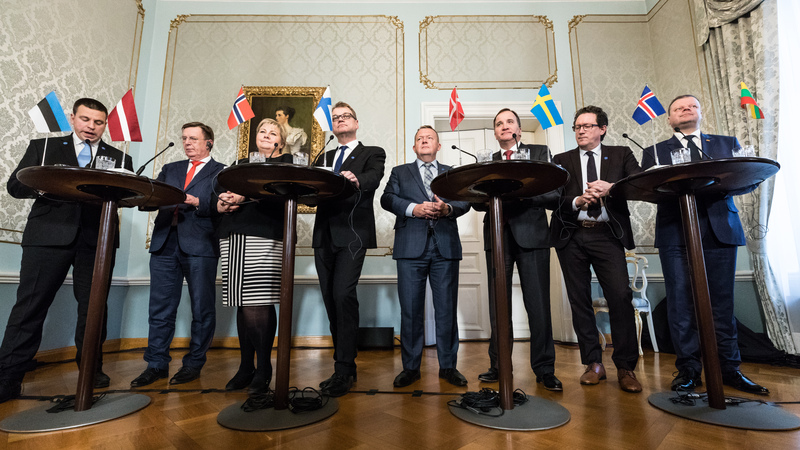 Nordic foreign ministers also meet on a regular basis within the Nordic council of ministers. Sweden's foreign minister, Margot Wallstroem, explained in a press conference in Helsinki that the Nordic ministers "match cases" and find "practical solutions". 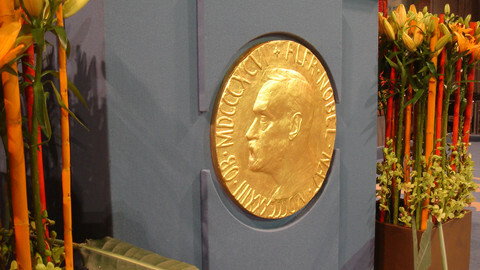 "It is something [Nordic co-operation] that we would like to be able to pass on to others in the world as well. Therefore, we also cherish it more today than we have ever done before," she said. Wallstroem is currently a driving force in the UN, with Sweden holding a seat in the security council. "You can see that the tensions in the world have increased hugely during the last years and of course since the Nordic region is the most stable region in the world, we play a role. Also that Sweden is now a member of the UN Security Council plays a role," Finnish social democrat MP, Maarit Feldt-Ranta said. "In all their [Sweden's] actions, they highlight the situation of girls and women, equality, and other things which are important for Nordic foreign policy and diplomacy … We [Nordic tates] can play a role in creating stability, peace and sustainable development in the world," she said. Years ago it was a well-known joke that the difference between a camel and the Nordic Council was that a camel can work for 14 days without food and drink while the Nordic Council can eat and drink for 14 days without doing something worth mentioning. "Well, there was also a Danish prime minister who said that the Nordic Council was a good way to fall asleep, but that is really not only indecent it is also wrong," said Danish MP Bertel Haarder. "We get terrible sandwiches and I hate that - so I don't think I live a life of luxury when I'm in the Nordic Council. Quite the contrary - I am sure I lose weight every time." Britain has declared it will protect Nordic and Baltic states from "Russian antagonism" after it left the EU. Nato "unity" will "never be broken" it said.